Buying a home is typically the largest investment people make and Buildmark provides warranty and insurance protection to newly built or converted homes. Cover starts from exchange of contracts and lasts up to a maximum period of 10 years after the legal completion date. From exchange of contracts to legal completion. Buildmark provides insurance protection if you lose your deposit as a result of your builder becoming insolvent or committing fraud, leaving them unable to complete your home. The most we will pay is 10% of the original purchase price or £100,000, whichever is lower. If your deposit was greater than this, you may not be fully protected. For the first two years after legal completion. This is the builder warranty period. Your builder provides this initial warranty and agrees to repair defects that are not general wear and tear or maintenance issues. We provide an independent resolution service and guarantee should the builder not do this. After the builder warranty ends, a further 8 years insurance up to a maximum of 10 years from the completion date. We provide insurance protection if there is damage to your home because the builder failed to build certain parts of your home to the NHBC requirements. We also provide insurance cover for contaminated land if you receive a statutory notice for your land or a statutory notice could be issued because of the condition of your land. Additional cover for failing to comply with Building Regulations applies to some policies. We provide insurance protection if there is damage to your home arising from specific defects if your builder has not built the home to NHBC requirements. Have a look at the illustration below to see which parts of the home are typically covered. Repairing physical damage to your home resulting from their failure. Taking action to treat, isolate or remove contamination from the land in line with any statutory notice that applies, or improve the condition of the land to prevent a statutory notice from being issued. Paying for the reasonable cost of removing and storing your possessions and alternative accommodation, if necessary, while work is being done. If, after you contact the builder, they do not put things right, please contact us. 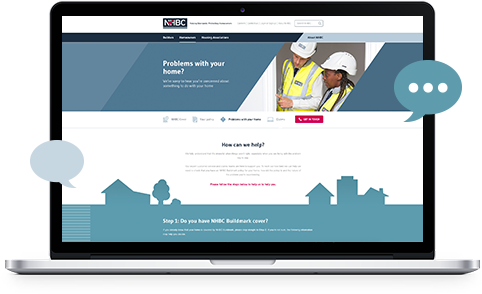 We offer a resolution service to help and, in certain circumstances, the NHBC guarantee to cover the work the builder should have done. Please note that we can only help with disputes about the builder’s failure to build your home to meet the NHBC requirements. We cannot help with other matters such as disputes over boundaries, planning, contractual and financial matters. Physical damage to the home because the parts illustrated were not built to NHBC requirements. NOTE: This is for illustration purposes only. There are certain conditions, limits and exclusions that apply, which you will find explained in the full policy document. You can read a more complete summary of the current Buildmark policy in the Insurance Policy Information Document here and access the full policy document here. The current policy document applies to newly built, converted or renovated homes registered with us from 1 April 2018. We always recommend that you check your own policy documents for the specific cover, conditions and exclusions that apply to your home. Take a look at this booklet for an overview of what and what is not covered by Buildmark as well as the details of the Consumer Code for Home Builders. Like all insurance policies there are some exclusions you need to be aware of. Also, Buildmark does not have an excess applicable to the policy because we operate a minimum claim value instead. Storms, fire or flood (your normal buildings and contents insurance should cover these). Cracking, spalling or mortar erosion which does not impair the structural stability or protection from the weather. Wear and tear, neglect and failure to do proper maintenance. Damage to roof covering, unless the damage results in entry of water into the home. Changes in colour, texture or staining of external finishes. If you are not the first owner of your home, the limits may already have been partly or fully used up by claims from earlier owners. You should always check your own policy documents for the specific cover, conditions and exclusions that apply to your home. For a full list of exclusions in the current policy document, please see here. We don’t apply a policy excess to Buildmark so you don’t have to pay the first part of any claim to NHBC. 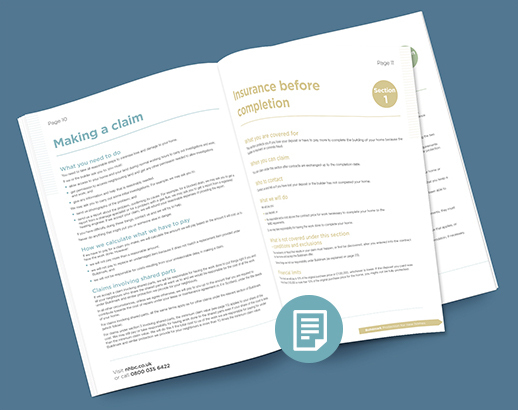 Instead, we operate a minimum claim value (MCV) which means that if the cost of your valid claim exceeds the MCV we will do the work or pay the cost in full and you will not have to make any contribution. However, if the cost of your claim does not exceed the MCV we will not do any work or pay any costs. The precise MCV applicable to your home will depend on how old your policy is but for policies starting on or after 1 April 2019 the MCV is £1,750 (increasing by £50 on 1 April in each subsequent year). Our expert customer service and claims teams are here to support you. Have a look at our Problem with your home page to see how we can help or read some Frequently Asked Questions for more information. 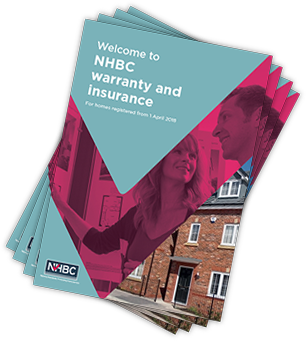 These are contained in the NHBC Standards which include the technical requirements, performance standards and guidance for the design and construction of new homes that all NHBC registered builders and developers are required to build to.